Moeller and Walter is committed to providing services that are second to none. Taking your project from ideas, to complete blueprints, all the way to delivering the building materials to the site. Founded in 1876- We are the oldest privately owned company in Grundy County, Iowa. In our early days, Moeller & Walter was one of 3 lumberyards in Reinbeck, Iowa, a town of about 2,000 people. There were numerous changes of ownership and today we are the one lumberyard that has survived the years. In recent history, Lynn Trask purchased the business from Paul Tschirgi and Bill Lowe in 1985. At that time it was a 3 employee company. 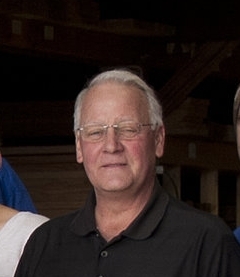 Ron Petersen replaced one of those employees in 1986. The company had a gradual and steady growth during the 1990's, and in 1999 Ron Petersen moved from employee to partner. We have experienced steady growth since that time and we now have a great staff of 19 employees.